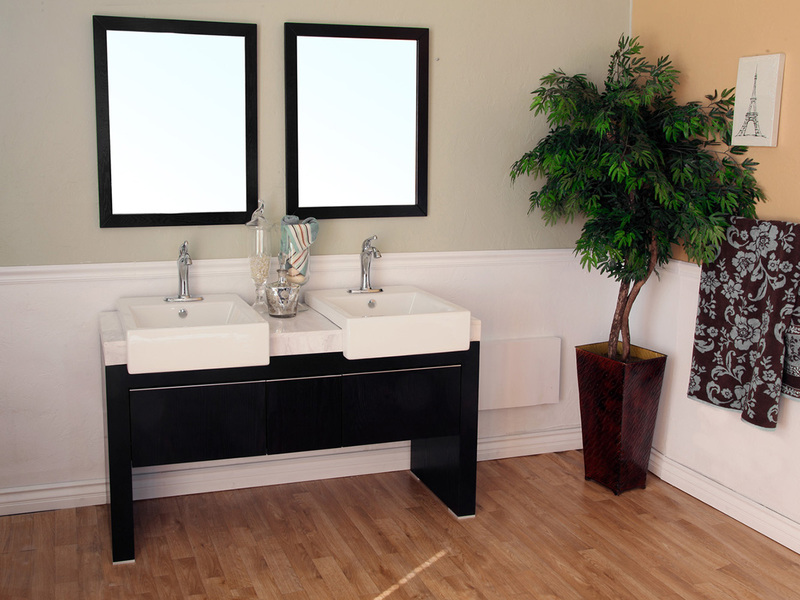 With its clean lines, black finish and chrome finish hardware, the Serres Double Vanity is great for modernizing most any bathroom. 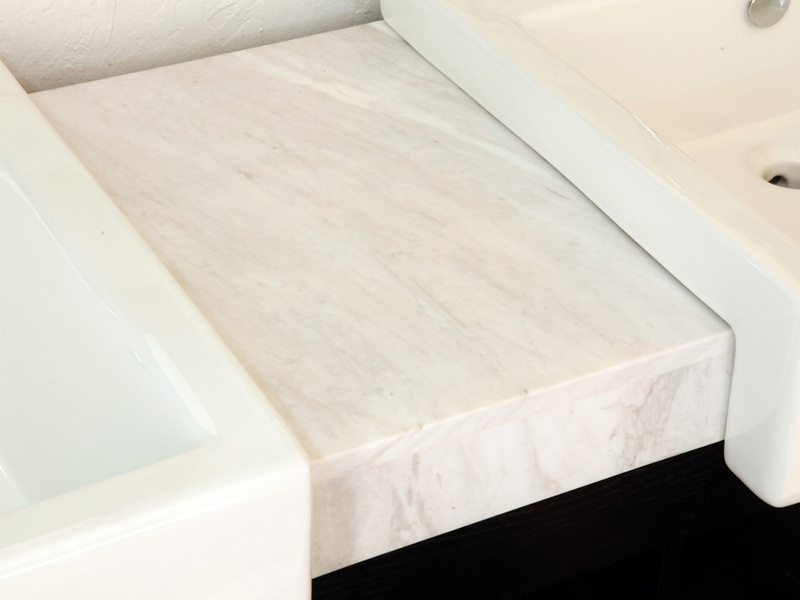 Its white sinks and white marble counter top provide a refreshing contrast to the dark finish, enhancing its modern look. 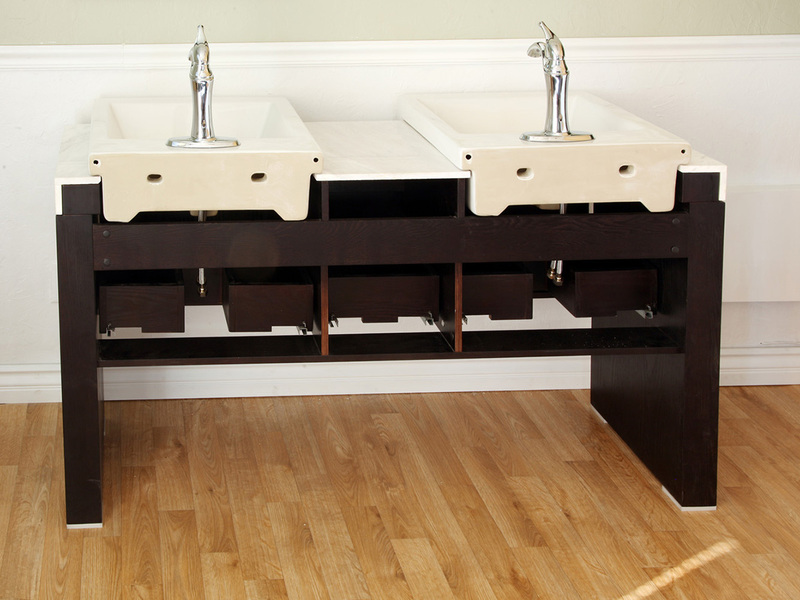 The finish is not only great looking; it is also water proof to keep the vanity looking great against the effects of humidity. 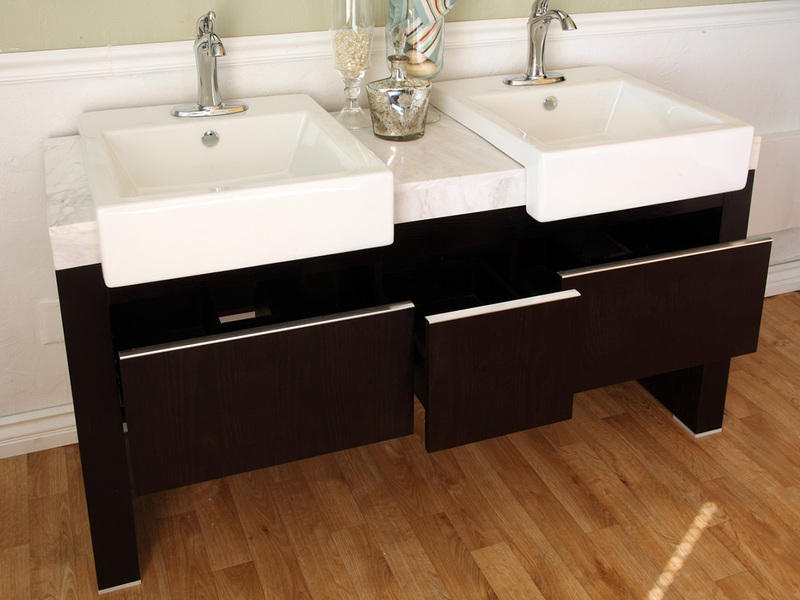 The vanity has three functional drawers, providing lots of storage space and ways to organize your bathroom accessories and supplies. 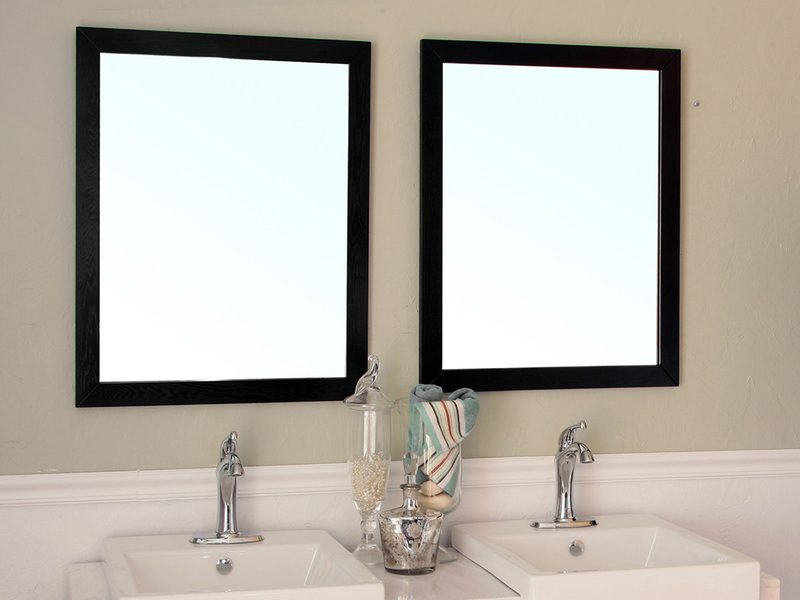 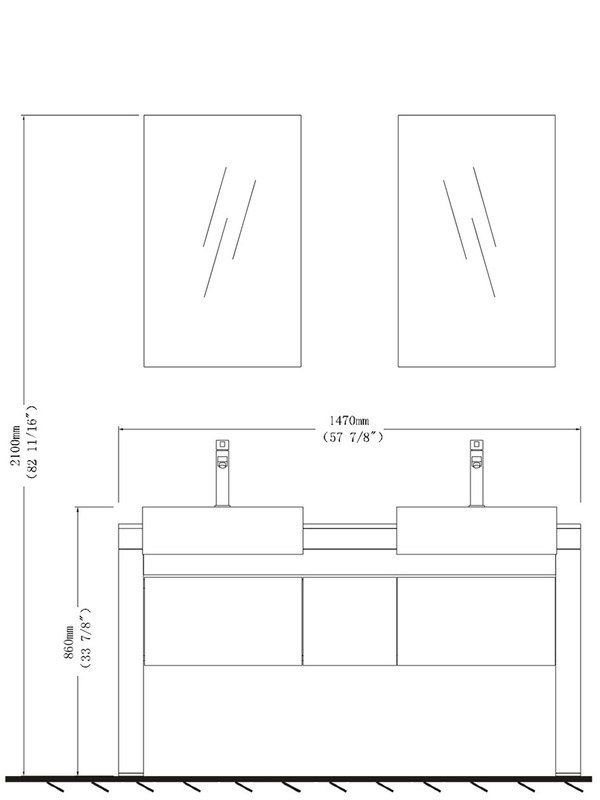 Completing your modern bathroom design is easy with this vanity and its optional matching mirrors which are available through the drop down menu.